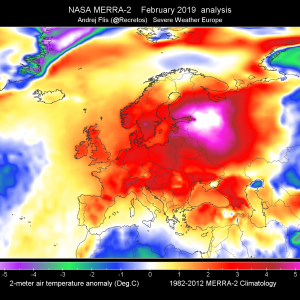 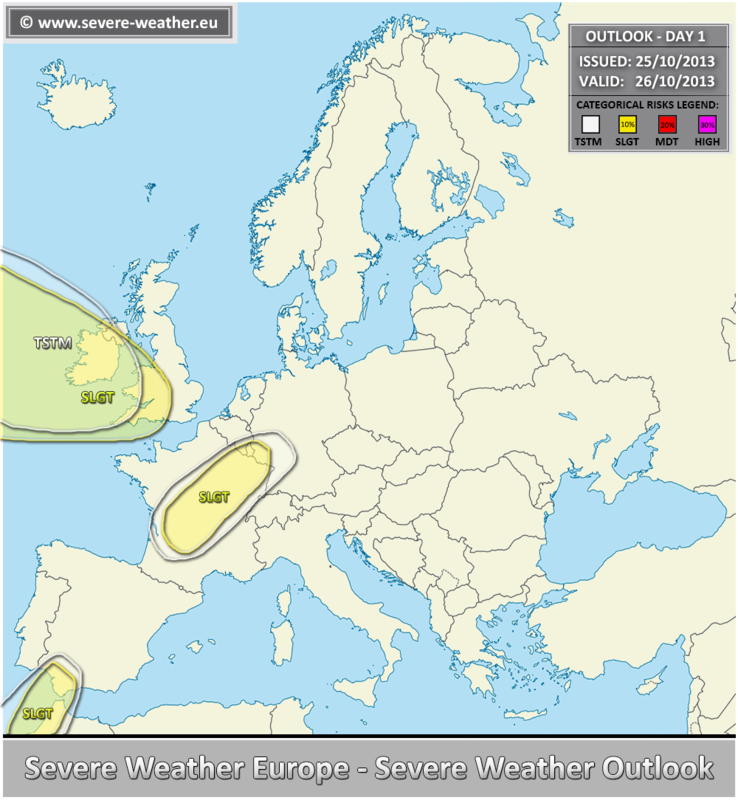 A strong trough approaching western Europe with a frontal boundary across France. 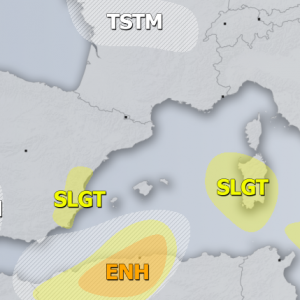 A weak upper low centered W of Marocco. 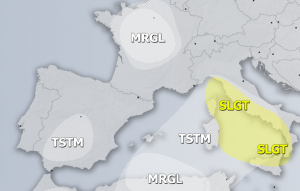 A SLGT risk has been issued for central France with threat for heavy rain, strong winds and some marginal hail. 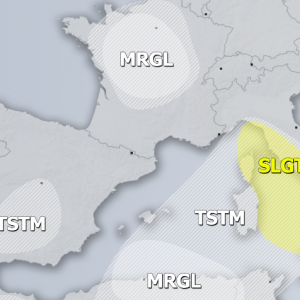 A SLGT risk has been issued for E Atlantic into southern UK with threat for heavy rain, severe winds and some tornado threat given the very strong LL shear in place, despite rather limited instability. 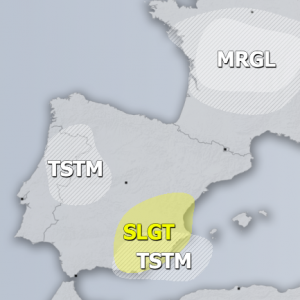 A SLGT risk has been issued for extreme S Iberia across Gibraltar into W Marocco with threat for heavy rain and large hail and some funnel cloud / waterspouts threat.